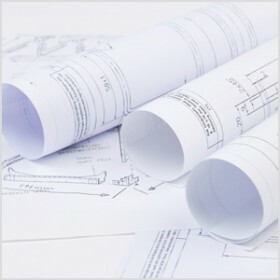 At Gateway we have the latest printing and scanning technology for technical, engineering and architectural drawings. Our same day in-house printing service produces professional quality drawings that are done quickly and are cost effective. Our production scanning system can be used to digitize and archive hard copy drawings and posters in black and white or full colour. Digitally archived documents are a cost effect and environmentally sensitve solution for storing documentation. At GVC, we offer an extensive line of large format paper/media supplies for your in-house technical drawing printing system. Whether you have an inkjet printer or a plain paper printer, we have the stock you need in most popular formats and types. Our flexible service offers you the convenience you need and a price that is affordable.